Have your rice cake and eat it! Rice cakes don’t have to be boring. We believe that food that does good can taste really good too. Coated in real chocolate and at only 93 calories per bar, our range of Rocky Rice bars are a perfect anytime snack. We’re proud to be gluten free and a source of fibre – a couple more reasons to give Rocky Rice a try. Best of all, we taste bloomin’ great. 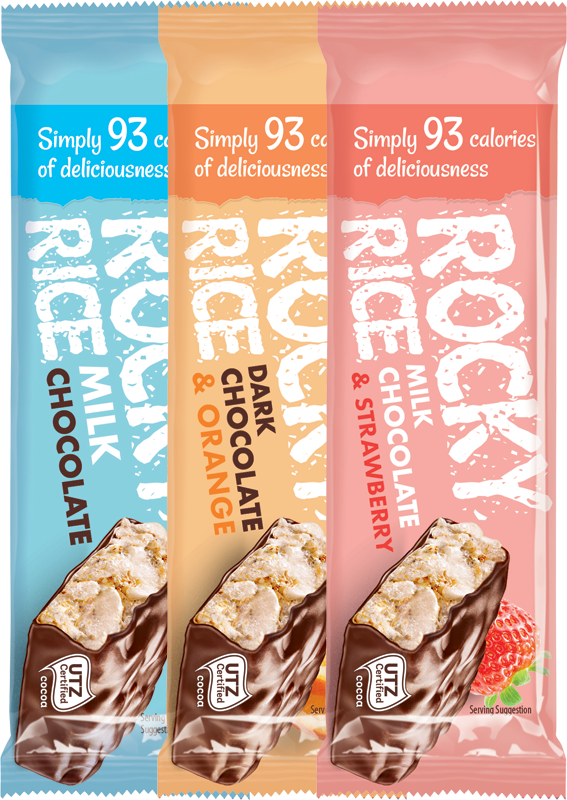 Rocky Rice bars are available in three delicious flavours, all covered in REAL chocolate and all only 93 calories per bar. Good eh? 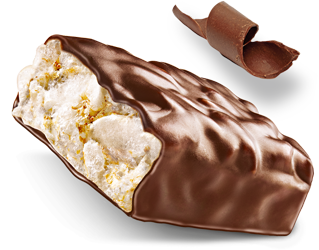 Put simply, we’re 93 calories of deliciousness in one individually wrapped bar. Good stuff.